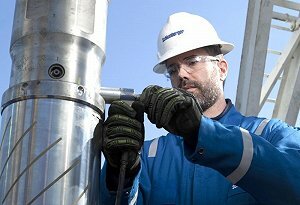 WSP Global Inc. has entered into an agreement to buy the industrial water consultancy business of Schlumberger, a global oilfield services company. It is anticipated that the acquisition of the 250-employee business will enable WSP to bolster their offerings by providing water consulting services to industrial clients worldwide, as well as establishing a foothold for WSP in Chile and Peru. It will also enhance the company’s presence in a number of countries they currently operate in, including the Unites States, the United Kingdom, Colombia and Mexico. Incoming President and Chief Executive Officer of WSP, Alexandre L'Heureux, commented: “The industrial water consultancy team will bring WSP an increased presence in the attractive global water market, more specifically, in the supply, management, control and environmental protection of water. "This transaction, which will be financed using our available cash, is aligned with our growth strategy; not only are we deepening our expertise in the industrial water sector, but we are strengthening our presence in South America, a region we are targeting in our 2015-2018 strategic plan. We look forward to welcoming all new employees from this division." Adding to L’Heureux’s comments, Business Manager of Schlumberger, John McCartney, said: "We are pleased about the prospect of joining WSP as our operations are complementary, and expect to create new career opportunities for our employees and our clients. "Upon closing, we anticipate playing an active role in the development and growth of WSP's multi-disciplinary group in South America and to offer a wide range of additional services to our clients around the world." The transaction is expected to close in Q3 of 2016 and is subject to customary closing conditions. Our client has been established for over 20 years, they have a strong focus on the role of their staff, and aim to create a positive work environment for everyone, office staff to engineers included. Due to continued growth they are now looking to take on a qualified and experienced Commercial Gas Engineer to cover the North area of London. You will be required to work in communal boiler houses and plant rooms, such as large commercial offices, blocks of flats, and residential care homes. You will need all of the necessary qualifications, including domestic gas, such as CCN1, CENWAT, HTR1, CPA1, COCN1/CoDNCO1, CIGA1, CORT1, TPCP1 (essential) and have plenty of experience. Ideally you will have a good knowledge of forced draught systems, gas and oil fired systems and manufacturers such as Nu-Way, Saacke, Ecoflame etc. Knowledge of BMS systems/controls is desirable, as is experience with bulk gas. Package Basic salary between £45k depending on experience 40 hour working week 8am to 5pm Standby is paid at £20 per day (£140 per week), with an added £30 per call out or there is the option of a flat £6k on top of your basic salary Company van and fuel card Company Mobile Pension scheme based on qualifying earnings (from April 2018 will be 2%, increasing to 3% in April 2019 – employers contribution) Ongoing training & support with professional development/training/upskilling (after successful probation) 20 days holiday plus the 8 bank holidays increasing by 1 day every year after the completion of the 1st year (up to 25 days) There is a great opportunity for Overtime (Mon-Fri - x1 hourly rate, Sat - x1.5 hourly rate, Sun - x2 hourly rate) or to join weekly ECO call out rota (dependant on suitability) If you would like to work for this friendly company who offer a very competitive salary package then please do not hesitate to contact us. Search jobs Looking for jobs? Find a new engineering job in the UK with Anglo Technical Recruitment. Browse permanent or temporary roles including jobs in IT, water, construction, building services, process, civil, and energy sectors.